For the week before and after Memorial Day and Veterans’ Day each year, Duluth, Georgia lines its roads with more than 500 flags and crosses in honor of her fallen veterans. These pictures are worth a thousand words…. God Bless our troops and their families…. I walked around the yard last week and took a lot of pictures. I sat down at the computer and looked at them and made a (long) list of things I wanted to do. One side of the house had gotten overgrown so I decided to do something about it this past weekend. I took pictures when I was finished so I could share some before and after photos. Before..the bushes by the house were over my head! looks much better (after) …and now have some places for something new to plant! and believe it or not..there is an arbor there! I have a few other areas of the yard to work on. I will share pictures of them when I have some progress. I hope all of you had a wonderful Mother’s Day this past weekend. 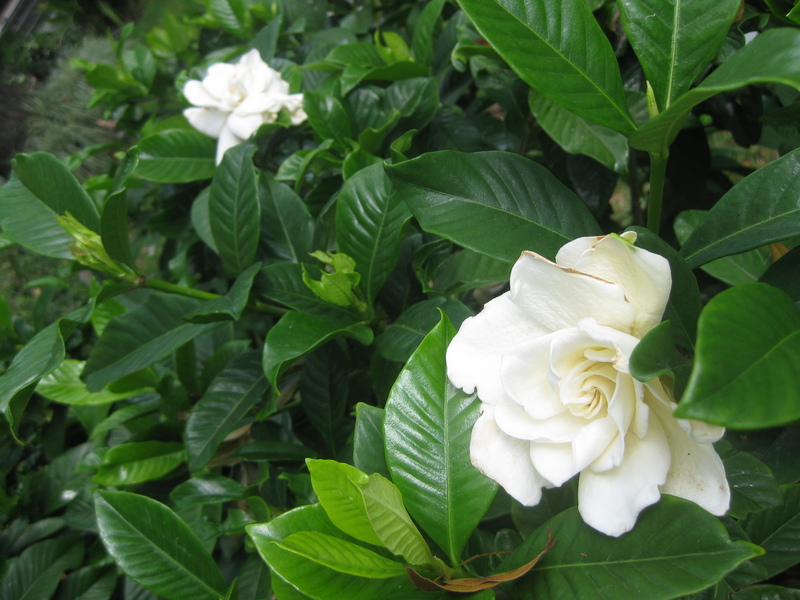 One of my favorites have been blooming recently… gardenias! 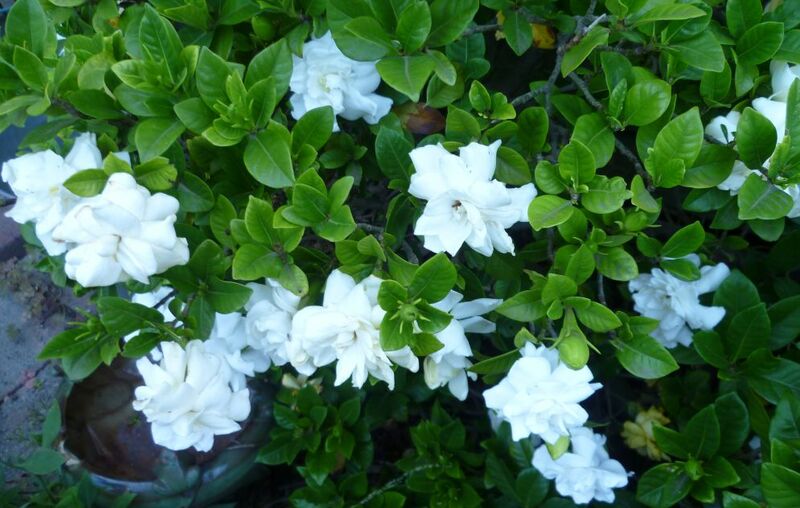 My yard smells heavenly! If these will grow in your area I think you need to add a couple to your yard! This week I am sharing pictures from the 19th annual Secret Garden Tour. Highlights of the tour were the Hay House and Hardin Manor. It was a beautiful day! Robins Air Force Base air show was this past weekend. The headline act was the Navy Blue Angels. The four planes maintained at Robins, the F-15 Eagle, C-17 Globemaster, C-5 Galaxy and C-130 Hercules also flew. There were about 60 stationary displays featured, including more than 20 military aircraft dating back to the World War II era. The air show reported record-breaking attendance for the weekend. It was reported that about 180,000 people overall attended, with 110,000 of those visiting on Saturday.